As of November 2018, there are over 100 Second Saturday Divorce workshops in progress or newly minted and rolling out for the New Year. That means that women across the country will have essential legal, emotional and financial information available to help them navigate one of the most difficult challenges they can ever face. It is hard to believe, but this life-changing seminar began as the tiniest seed of an idea almost 30 years ago. WIFE.org co-founders Candace Bahr and Ginita Wall nurtured this seed into local legacy that has helped over 10,000 women and given close to $350,000 back to the San Diego community. Now, with so many new Second Saturday workshops around the country, women everywhere can have help and hope and community, just when they need it most. 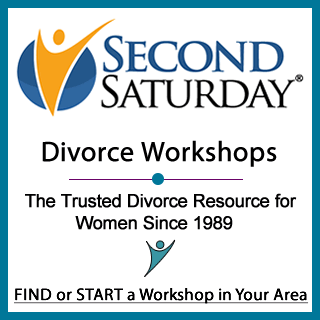 Please visit SecondSaturday.com for more information, and share this transformational workshop with anyone you know who is even considering divorce. Remember: every minute spent in sorrow is a minute of happiness we can’t get back. Please join us in helping others find their way back to joy!